Bill Nye, a dapper lanky guy whose TV program in the 1990s made science seem really fun to six-year-old me, recently took time to answer questions in a Reddit AMA, and he was asked about Tesla founder and space dude Elon Musk. What’s Nye’s take on Musk? He thinks he’s just great. “He and his companies are shaking things up in a great way,” Nye said in the interview. Nye said Musk served on the board of The Planetary Society, where Nye is CEO, so the two have known each other for some time. Musk had to recuse himself because SpaceX had become “yuge” (Nye’s word choice). Expectedly, Nye’s a big proponent of electric vehicles, as he routinely takes to pushing back against climate change deniers. 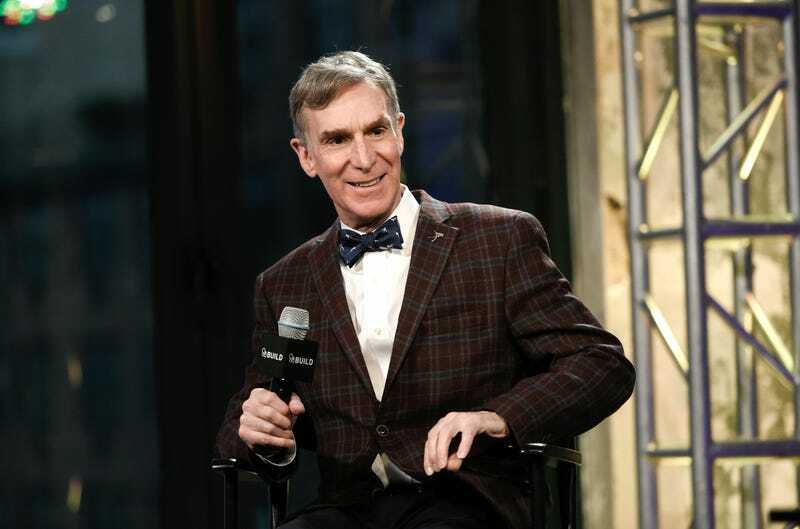 His new show on Netflix, Bill Nye Saves the World, is “a talk show dedicated to promoting science and critical thinking,” as Vanity Fair put it. If you’re interested, the rest of Nye’s AMA is here. Bill! Bill! Bill! Bill! Bill! Bill!